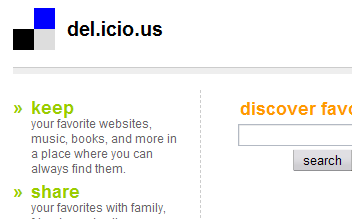 del.icio.us's instructions on how to add the buttons are very clear and simple, and include pictures on how to do it in each browser, so I will not reproduce them here. In this example, several tags are already suggested, due to the large number of people who have added this particular bookmark (one more advantage of the social part: it saves work!). It's simply a question of changing anything you want (in this case, for instance, I'd change the "description" to something simpler, such as "Wikipedia"), and click on "save". 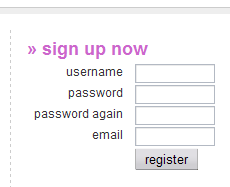 to access your bookmarks list, simply go to http://del.icio.us/username, where "username" should be replaced with your real username, of course. to add a new bookmark, go to http://del.icio.us/post/, which takes you to a page asking you for the same data as shown in the previous image (address, description, notes and tags).